After wrapping up development of 0.9.1.1, we’ve been hard at work to bring you an upcoming new build of Crusade — version 0.9.2! Fans of Melee rejoice! The fantastical and beautiful Fountain of Dreams is coming to Crusade, in all of its shimmering glory! I can already hear the orchestra in my head. Fountain of Dreams retains its familiar look and layout! Just like in Melee, the platforms will change height and even disappear! That’s just one of the many exciting things we have planned for Super Smash Bros. Crusade version 0.9.2! Make sure to check back for more exciting sneak peeks at new content! Hot damn, this early!? Man, can't wait too see more content of this; a direct will certainly be hype! Great work guys. The stage looks amazing. I do have two questions though. The smaller pink tower. Is it a bit off? Is the perspective correct? I don't know, seems a bit sloppy. Also, is the animation speed in the GIF the same speed in the actual stage? If so it needs to slow down imo. I hate to point out negatives on great work, but I think it's also important to do so as well. The gif does look a bit fast but I'll look into the speed in game and see if it should be slowed down. About the towers, I agree. As 0.9.2 is a WIP it's all subject to change, so if anybody has any thing constructive to say changes can still be made. DREAMLAND BETTER BE IN THIS SH*T! Ok But It A Fun Stage. Is the forum on Pc web browser on maintenance? 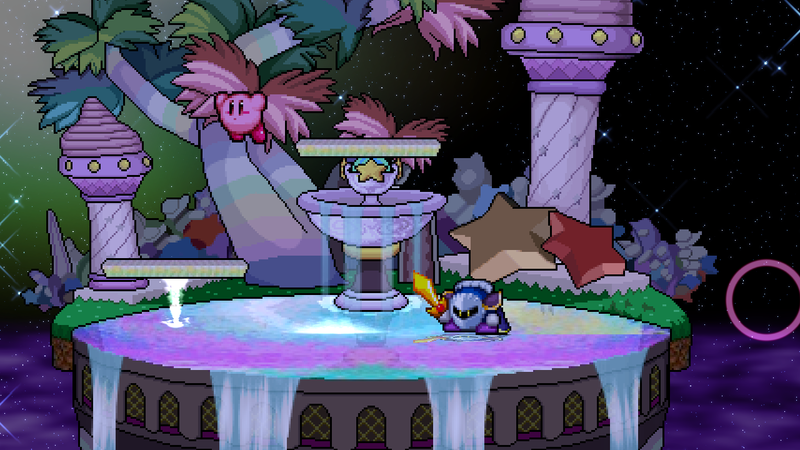 It'll probably be some new Dream Land/Green Greens seeing that Fountain of Dreams is confirmed. We shouldn't have 3 Battlefields. 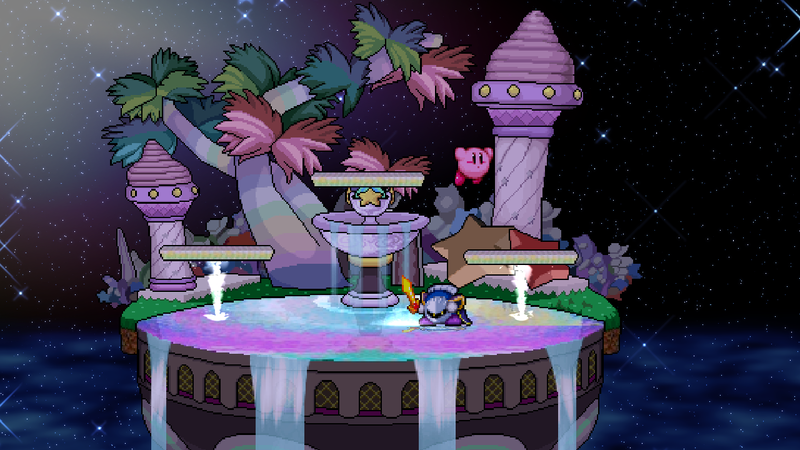 Is this the first Kirby stage for Crusade since Vegetable Valley was removed from the previous demo? Finally now i have use for some kirby songs in the future! Well, soon this stage is gonna be Deeply Studied, when 9.2 drops by Me and the other competitive players at the discord. also i hope this time its good for Falcon and not like melee where its not lol.